This half marathon was founded in 2002 by Rusty Bex and became a TRAIL produced event in 2010. 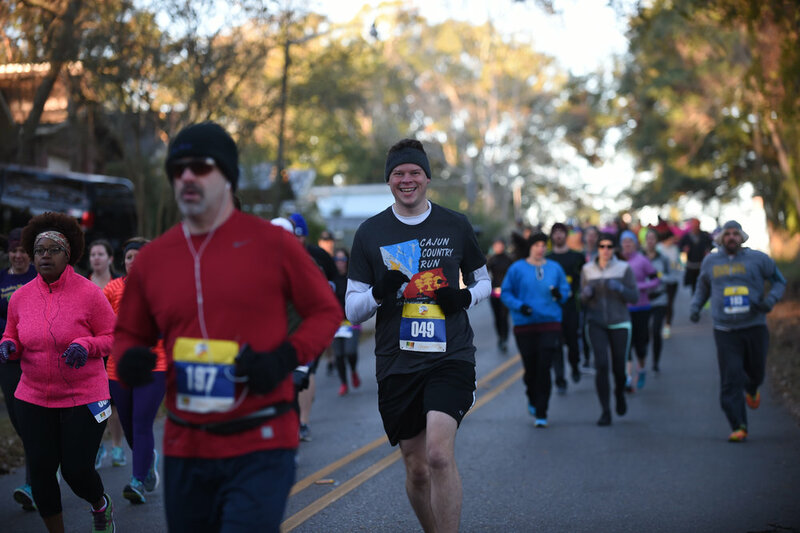 Today the Cajun Country Run now offers 5 running events. The half marathon is now a 100% road, USATF certified course. The 10k & 5k trail runs offer a mix cross country and single track sections. The 10k trail course will take you on some technical sections along the banks of the Vermilion River. In 2017 we will introduce 10k and 5k all-road options to the race. Thanks to Our Official Photo Sponsor, Giles Subaru, Cajun Country Run will offer free photos for runners after the race. over 3,000 shots from 4 locations covering all race courses.